Bergesen, 29, was a significant part of the Orioles rotation for two seasons however, after his call-up from Triple-A Norfolk in 2009. He finished that season making 19 starts for the O’s in his MLB debut, posting a 7-5 record and a 3.43 ERA. The following season in 2010, he made 30 appearances for Baltimore, and 28 starts. Bergesen’s most recent Major League time came in 2012, where he posted a 3.64 ERA in 19 games and 29.2 innings out of the Diamondbacks bullpen. 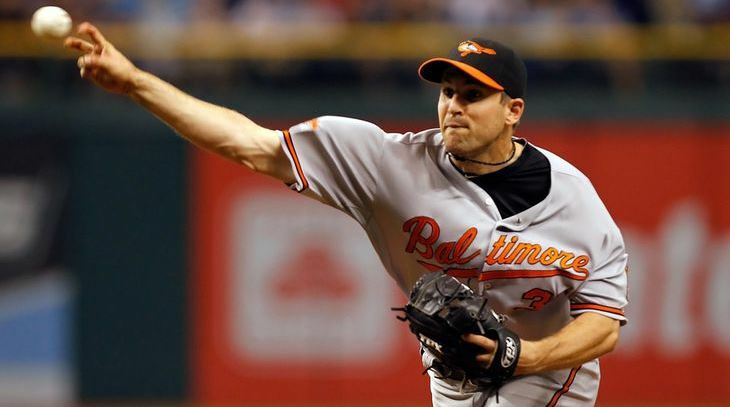 He was originally a fourth round draft pick (109th overall) by the Orioles in 2004. As a minor leaguer, Bergesen holds a career 40-28 record and a 3.68 ERA, in 122 games and 99 starts. 2015 is his 11th pro season. This entry was posted on May 22, 2015 by blogtoblogchamps. It was filed under Atlantic League News, Baltimore Orioles, MLB, Player News, Team News .